What materials are available for borrowing? How long does it take to get material and how long can I keep it? The Sage Colleges Libraries’ Interlibrary Loan Borrowing department seeks to provide service to current undergraduate and graduate students, faculty and staff who request materials (paper or electronic books and articles) and to fulfill requests for material without discrimination or judgment about the necessity or validity of the patron requests. If a student, a faculty member or a staff member requests material, we consider such requests as valid academic or personal requests and we expect our employees to provide assistance to obtain materials. Exceptions to our ability to obtain material may occur if outside sources require excessive payment for sending material to us for our patrons. In those cases, we will evaluate the requests against our budget and we will consult further with the borrowing requestor. Interlibrary Loan Borrowing costs are not passed directly on to patrons. Emeritus faculty are able to use the Sage ILL Borrowing services. ILL Borrowing services are not available to alumni or to students who are not currently enrolled in college classes. The Sage Colleges Libraries’ Interlibrary Loan Lending department seeks to provide service to external libraries who send us requests for material owned by the college. Requests for material are honored without discrimination or judgment about the necessity or validity of the patron lending requests. We consider lending requests from external libraries as valid academic or scholarly requests and we expect our employees to provide assistance to lend our materials. Certain materials are not loaned, as listed in the Sage Colleges entry in the OCLC Policies directory. Interlibrary Loan is a service that allows patrons to request materials that are not owned by the Sage Colleges Libraries. The Interlibrary Loan Borrowing Office is located on the Albany campus. Hours: 8:30 am to 4:00 pm Monday through Friday during the Fall and Spring semesters. During the summer semester and intersessions the interlibrary loan office will be open 10:00 am-5:00 pm. All current Sage students, faculty, staff and administrators have ILL privileges. ILL privileges are also given to retired Sage faculty. We do not charge for ILL services. 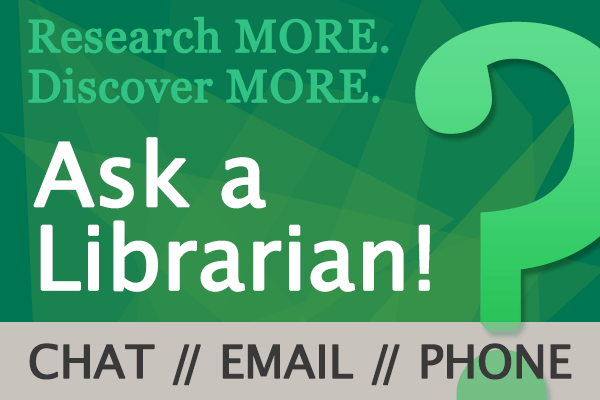 How do I make an Interlibrary Borrowing Loan Request? All borrowing requests must be made through the ILLiad request management system. First time patrons: Use your Sage email login and password to enter the ILL system. Your password is the same as your MySage password. To change your MySage password, see the password reset page. Patrons may request books and articles that are not owned by the Sage Colleges Libraries or material that we own which is already checked out by another user. DVDs, VHS tapes, computer software, music and textbooks can be requested. Please note that class materials needed for the whole semester should not be borrowed through Interlibrary Loan. Dissertations are often available via the library’s subscription to Proquest Dissertations & Theses database. If a dissertation is not available through this database, please fill out an ILLiad request and we will try to locate it for you. Journal articles arrive 1 to 3 days after a request is processed. Journal articles are delivered electronically. Patrons will receive an email notifying them that the article has been received or they can access them through their ILLiad account. Articles, once received, will be available for 30 days on the college server but after this period, they will be deleted. We suggest that you download a copy of your article from the college server and retain it on your personal computer or on Google Drive. Books usually arrive a week after a request is processed. The loan period for books is determined by the loaning institutions. Most will have a lending period of 21 to 30 days. Patrons will receive e-mail notifications when material is available for pick-up or when material is delivered electronically. By signing the check out slip when you pick up your borrowed book, you are agreeing to return the book on time and/or to pay for any late or replacement fees. Note: Please do not remove the blue slip of paper attached to your borrowed item. The loaning institution determines whether or not a book may be renewed. Books typically will be renewed for two weeks; however, the loaning institution reserves the right to recall the book and the patron is responsible for returning the material when it has been recalled. A patron may NOT keep material for the length of the semester. Class materials needed for the whole semester should not be borrowed through Interlibrary Loan. A patron may submit a renewal request to the Sage Colleges Libraries Borrowing Department via phone or e-mail. Requests may also be submitted using ILLiad Client; however, renewals must be submitted at least four days before the due date if using ILLiad Client. Renewal requests must be submitted directly to the Interlibrary Loan Borrowing Department Library Specialist. Requests submitted through the Circulation Department will not be processed. Renewal requests can be submitted through your ILLiad account or by emailing or calling the ILL contact person. Our Borrowing Office will send overdue notices via campus email if books are not returned on the due date listed on the blue book band attached to the book. Patrons are responsible for all overdue fees, and should monitor their campus email routinely. The borrowed item must be returned to the Sage Colleges Libraries on or before the due date listed on the book band. If patrons fail to return books, their access to the ILLiad Interlibrary Loan system will be blocked until materials are returned or paid for. If a patron returns the book and/or pays for its replacement after 30 days, the ILLiad account will be unblocked and the hold will be taken off of the patron’s Sage account.